The BELLEViE GYM has everything guests need to keep in shape: modern Excite+ cardio machines with TV and connectors for Smartphones, Element+ weight training machines and a lounge with self-service Gym Bar. Personal trainers are also available on request. 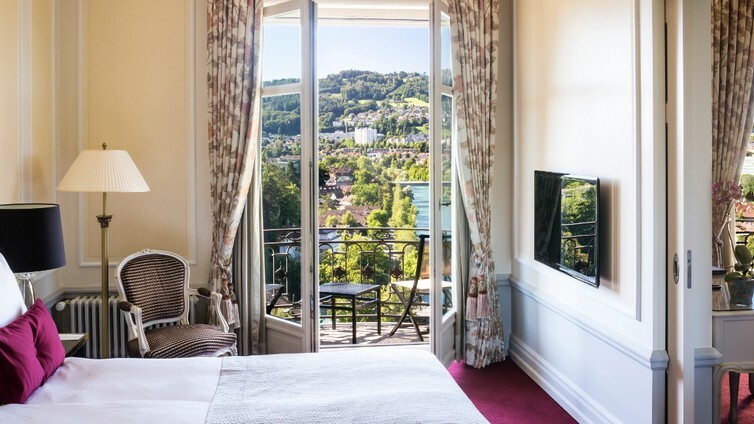 Any workout is sure to be a pleasure thanks to sensational views across the rooftops of Bern to the old town and the Bernese Alps beyond – which can also be enjoyed while taking a break on a sunbed on the terrace. 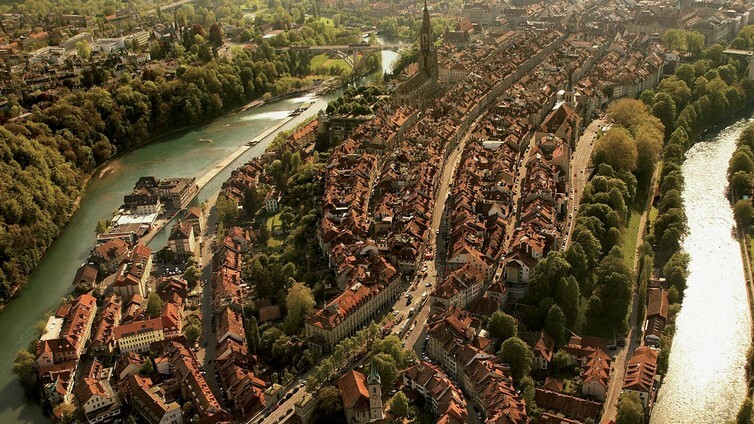 Bern is built on the River Aare, with the city’s most attractive recreation area running along the riverbanks – an ideal destination for strolling, jogging and swimming in summer. We will be pleased to provide a map of jogging routes. The nearby Emmental valley and Schwarzenburger District are also perfect places for physical activity. Regardless of the weather, visitors can also saunter through six kilometers of arcades in the old town of Bern. At the end of a busy day of a holiday or business trip, there is nothing more soothing than a visit to our Finnish sauna: in such restful surroundings, it is easy to let the day melt away. The sauna, which has separate areas for men and women, is exclusively open to guests from 14 hrs to 22 hrs every day. 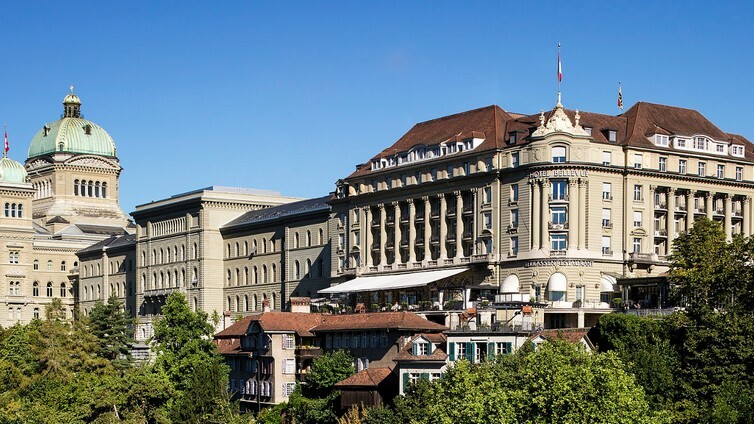 Those interested in everything our spas have to offer are well advised to visit the spas of the VICTORIA-JUNGFRAU COLLECTION in Interlaken or Lucerne. The BELLEVUE PALACE is the perfect venue for a celebration. Whatever visitors have in mind – a wedding, birthday, baptism or family get-together – our 16 impressive function rooms provide the ideal venue. For more than a century, each of these rooms has possessed a charm of its own. The event team at the BELLEVUE PALACE looks forward to hosting celebrations for guests, and is pleased to extend whatever support it can as regards planning and execution. Simply contact us – and enjoy your special day to the full. The restaurant «VUE» combines traditional Swiss hospitality with classically modern cuisine. This effortlessly timeless and casually elegant venue with the Gault Millau rating serves light yet perfectly prepared dishes. 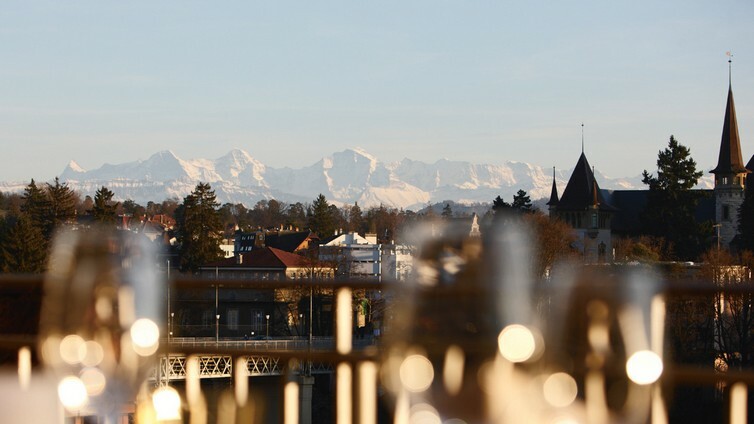 The culinary delights are complemented by a ‘Belle Vue’ of the River Aare and the Alps from the terrace. 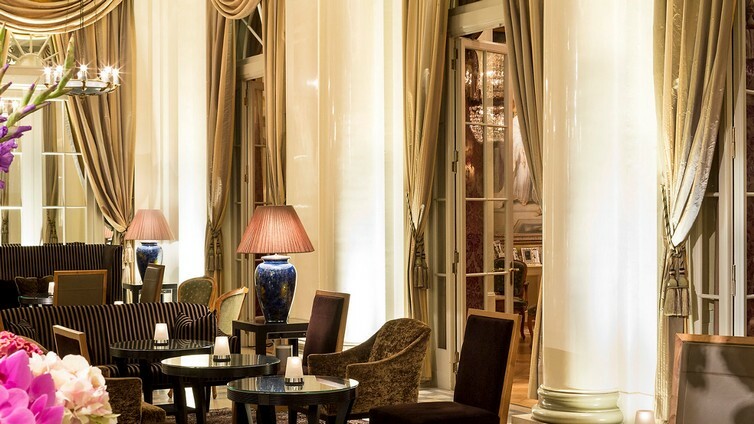 «Le LOBBY» is a true classic reborn, a convivial meeting place to exchange views and discuss weighty matters over informal snacks and drinks as well as sushi and sashimi. Alongside classic cocktails, the bar presents 99 types of gin and other imaginative creations. The venue for the whole of Bern – and our guests from around the world – opens daily from 8 hrs to midnight. From 12 hrs until 14 hrs and from 17 hrs until 22 hrs Tuesday to Saturday, we serve a delicious selection of sushi and sashimi in the «Le Lobby» and «BELLEVUE Bar». Diners can choose from small portions like nigiri or maki sushi, sushi platters or mixed sashimi for a larger assortment. The Japanese appetisers are freshly prepared and served at the bar or on the terrace when the weather is fine. Needless to say, sake or original Japanese Kirin Ichiban beer make an ideal accompaniment. An oasis of Japanese cuisine in the heart of Bern. The «BELLEVUE Bar» is a living legend, a bar with a proud tradition that invites business people, politicians, courting couples and quiet bon viveurs every day to enjoy a drink or a business lunch, relive the good old days, take a step back and practice the art of conversation. In addition to a comprehensive drinks menu of classic and modern cocktails, the bar offers breakfasts for late risers, finger foods and a wide selection of delicacies that includes sushi and sashimi. The bar welcomes guests daily from 10 hrs to midnight. «Le Fumoir» is devoted to aficionados of fine tobacco, somewhere for connoisseurs to peacefully indulge their passion with a wide choice of prime Cuban cigars (including a number of rare Cohibas) and selected cigars from South American climes. Chilled drinks and culinary classics are also served in the elegant surroundings to complete the experience. This is an ideal meeting place for like-minded individuals seeking to enjoy a hand-rolled cigar in peace as an expression of a lifestyle. «Le Fumoir» opens daily from 10 hrs to midnight. Thank you for choosing to book Hotel Bellevue Palace.! Due to limited availability you are encouraged to contact the reservations department to enjoy our personalized service, by phone on +41 (0)31 320 45 45. Please fill this form for individuals or for groups and you shall receive an answer written by a live person at Hotel Bellevue Palace. This is the only way you can know exactly what room types are available for the dates you want, and the best possible rate, because you are dealing directly with the hotel. Travelling by car and coming from Basel/Zurich, head for Interlaken/Thun and take the Bern Ostring exit. Follow signs for Zentrum, then Casino and turn into Jungfraustrasse. Cross the Kirchenfeldbrücke bridge towards Casinoplatz. Turn into Amthausgasse. Go around Bundesplatz into Kochergasse. 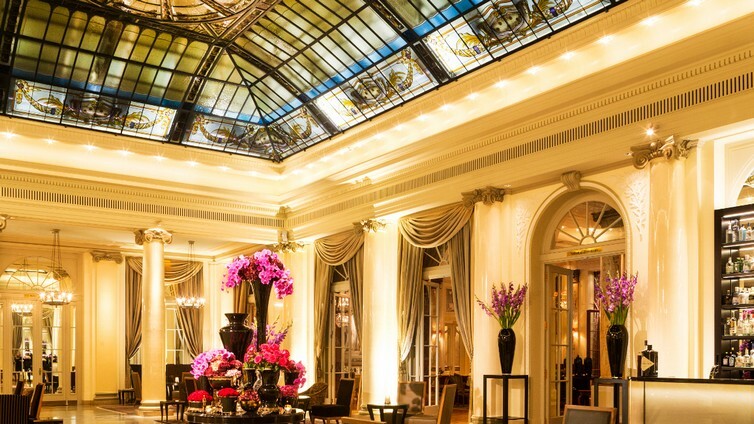 You will come directly to the BELLEVUE PALACE hotel. The Hotel offers recharging points for electric vehicles. If you come by train, after arriving at Bern station, take a 5-minute walk or tram line 6, 7, 8 or 9 to Zytglogge. Alternatively, take a taxi straight to the hotel. Zurich Airport: 1 h 30 min. Basel Airport: 1 h 30 min. Geneva Airport: 1 h 30 min.